Whether you’ve always wanted to be a doctor or developed an interest in the science of medicine in your college years, gaining pre-med clinical experience is going to go a long way toward making sure that this is what you want to do for the rest of your life. Medicine is a rewarding career but it has its ups and downs just like any other line of work, and the more exposure you have to the realities of medicine, the more prepared you’ll be to make this huge decision. One way pre-meds choose to gain clinical experience is by serving as an Emergency Medical Technician (EMT) either as volunteers or paid employees. If this is a path that interests you, here’s what you can expect from EMT training and more information on EMT roles to help you decide. Before you choose to train as an EMT, do some research on whether you’ll be able to find work after you finish your training program. Just obtaining an EMT certification isn’t enough to list it as a clinical experience on your application. It’s also not a good use of your time and energy if you’ll never be able to use the skills you learned. One of the challenges will be finding part-time EMT work that will work with your school and extra-curricular schedule and many companies do not have part-time slots for brand new EMTs. This means you might have to commit to a full-time schedule if you want to work, which is going to be tough to manage. So while it might be a much more exciting way to spend your clinical experience hours, there are other things you can do that will fit into your undergrad life. You can find EMT-B, or EMT-Basic, courses on your campus through a continuing education division, at a community college, or technical school. Depending on your state, you’ll spend 100-200 in a classroom or online classroom lecture setting, plus practical labs, observations, and studying on your own on top of that. This can end up being a huge time commitment, especially if you’re studying at the same time. If you choose to take your EMT course during your semester, assume that the required time commitment will be similar to a for-credit class. Look at your schedule and see if this will hurt your grades or take time away from your MCAT prep. If you can, get your certification before your toughest academic years or during the summer when you have more flexibility. Overall, the training can take as little as 2-3 months in an intensive setting, or as long as a year. Plan for associated costs, including tuition, materials, and the costs of becoming certified. EMT certification training will teach you about providing basic life support, how to provide pre-hospital care for injuries and illnesses, and how to work in an ambulance. At the end of your training, you’ll need to pass the national certification exam administered by the National Registry of Emergency Medical Technicians, which involves a written and practical exam. There are opportunities for advancement if you want to deepen your commitment to emergency response, including more advanced training for EMTs or becoming a paramedic. Q: Does pre-med EMT experience count as clinical experience? A: Since you will be interacting directly with patients and get a chance to provide hands-on care, working or volunteering as an EMT counts as clinical experience. Having this experience under your belt and excelling at it can show medical schools you can perform under pressure, communicate effectively with patients in distress, and manage a challenging schedule. However, serving as an EMT doesn’t replace clinical experience in a hospital or clinic setting, such as shadowing. You want to get exposure to what the practice of medicine will be like, not what emergency management is like. If you’ve obtained your certification and found meaningful, long-term work as an EMT before medical school, it will make you stand out on your application. 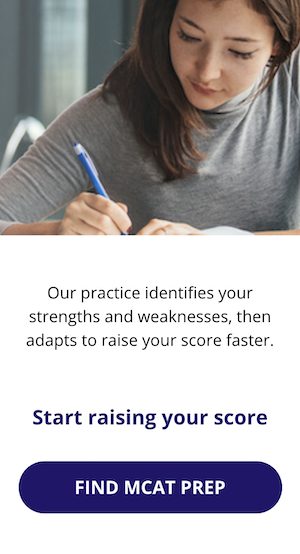 However, do not take this on at the expense of bolstering your grades or MCAT score. This is a nice-to-have, not a must-have. Q: Is it worth my time? A: Only you can answer this. As discussed above, you’ll want to check out what jobs will be available to you once you finish your training. Does your school have a volunteer EMS that you can join? Are your nearby ambulance companies hiring basic EMTs? If not, it may not be worth your time or effort. In some states, you may not be allowed to actually do very much hands-on care with a basic EMT certification, which will limit what you’ll get out of it. This is definitely an experience you can skip. If you’re a Canadian pre-med, becoming an entry level Primary Care Paramedic, the equivalent of an EMT-B in the United States, takes up to two years of study and is a much more involved role. As such, it becomes an entirely new commitment and one you wouldn’t want to undertake as an undergraduate if you’re intent on attending medical school shortly after graduation. Q: How much do EMTs make in salary? A: It depends. As part of your research, you’ll want to find out whether paid positions are available to someone with a basic certification or for someone who can’t commit to a full-time role. The median pay for EMTs and paramedics is less than $32,000 a year, although paramedics can make much more. Naturally, any volunteer positions aren’t paid.